Beer and music festivals go together like yin and yang. 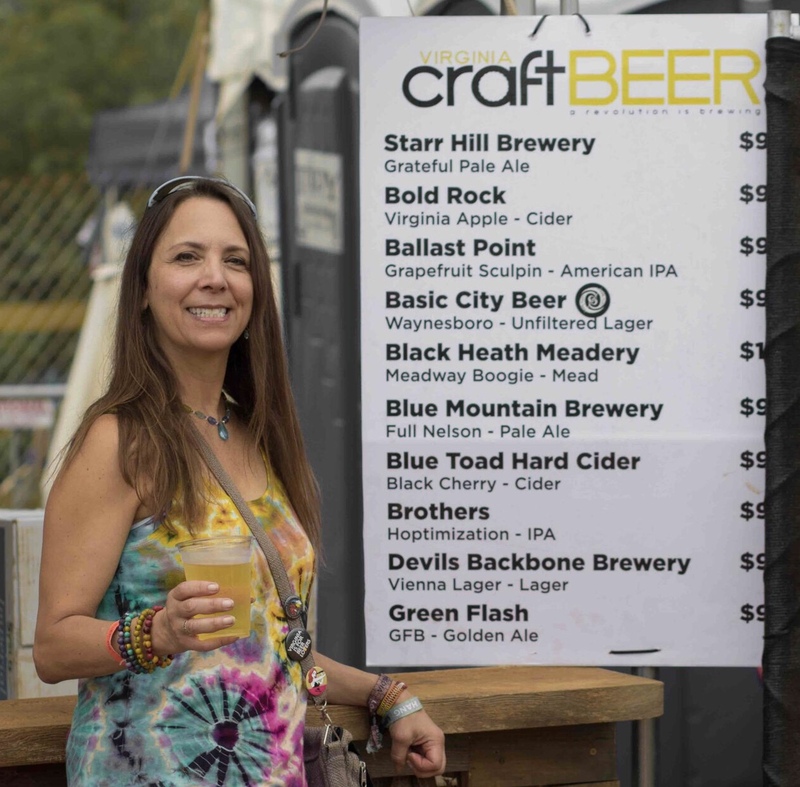 However, it’s a bona fide buzzkill when your festival beer choices are limited to domestic lagers, and a search for the “craft beer tent” leads you to Blue Moon or Shocktop but no beers brewed nearby when there are dozens of fine breweries within a 75-mile radius. How about something local that you don’t see at every grocery store back home? Problem solved. With a little dead reckoning, you can set your sights on the sixth annual incarnation of the LockN’ Music Festival at Infinity Downs and Oak Ridge Farm in Arrington, Virginia, halfway between Charlottesville and Lynchburg. From August 23 to 26, 2018, Lockn’ celebrates music, Virginia craft beer, local food, and most of all the good vibes that happen when the above elements synergize with thousands of kind and friendly people who are there to have a good time with kindred spirits. The festival will feature a bevy of Virginia breweries offering a wide array of choices to wet your whistle as you soak up the sun dancing to Sheryl Crow, Dead & Company (including a set with Branford Marsalis), Widespread Panic, Tedeschi Trucks Band, George Clinton and P-Funk, Blues Traveler, Lettuce, Umphrey’s McGee, Matisyahu, Toots and the Maytels, Foundations of Funk (celebrating New Orleans’ venerable Meters), Pigeons Playing Ping Pong, Joe Russo’s Almost Dead, and twenty-three other bands including Virginia’s homegrown winners of the Rockn’ to Lockn’ local band contest, the FUZZ BAND, Disco Risque, Firecracker Jam, and the Judy Chops. The schedule features Dead & Company playing two sets on both Saturday and Sunday nights, to close out their summer tour! As you can tell, this entire festival will be one hell of a dance party. LockN’s “Participation Row” engages festival attendees with community groups raising awareness of local and national causes. Lockn’ also partners with a local Episcopal church for a WaterLockn’ shuttle to take you to a nearby river for a swim. This embrace of “locality” is part of what makes LockN’ special. You get a taste of the Virginia Blue Ridge Mountains and its metaphoric microclimate, a cultural “terroir.” As about 70% of last year’s LockN’ attendees were from out of state, having that sense of locality permeate LockN’ creates a more memorable and meaningful experience, and Virginia’s craft beers are a significant part of that link. Dave Frey and his team have made a number of changes over the years to improve the site layout and customer experience at this former racetrack and farm. For the first four years, the main stage featured two side-by-side stages, so one band could set up and be ready to go within a few minutes of the previous band. But, it meant that you might not have as good a view of the band playing on the other side of the stage. In 2017 the main stage was changed to a gigantic “lazy susan” with half exposed to the audience and half backstage where the next band can set up while the current band is playing. When the current band ends their set the stage slowly spins, and the next band is playing as the backstage revolves to face the audience. It’s a brilliant bit of technology and seemed to work beautifully. The new set-up also has an improved layout. The campground is closer to the two concert stages and you can view the main stage from the field or from grassy hills where you can set up a chair or blanket in dappled shade, lounge in a hammock, and be a short walk from the beer and food without having to stumble over people or use a navigation system to find your tribe in the dark. Food venders have been encouraged to develop efficiencies to allow meals to be delivered more quickly, so you don’t miss your favorite band while standing in line for that tasty crab cake, barbecue, grilled cheese, burrito, or pizza. VIP tickets get you a close birds-eye view on the side of the stage for your favorite performers, a ‘backstage’ bathroom with A/C and flush toilets, freebies (last year there was tasty ice cream and iced coffee drinks), and other amenities. Super VIP has even more treats available. Check the website at for information about single-day and four-day full-festival tickets, regular, VIP, and sober camping options, glamping, lodging packages, shuttles to Charlottesville, and RV-ing. This festival fits in well with a beercation in bucolic Nelson County. Consider adding a couple of days to your trip to enjoy the region’s natural beauty, hiking, and historic landmarks like Jefferson’s Monticello and the Walton’s Mountain Museum. Oh, and of course you’ll want to explore the many craft beverage destinations within a 30-minute drive of the festival grounds. The closest is Blue Mountain Barrel House, just three miles down the road from Lockn’. Travel up Rt 29 for about 11 miles and turn right at the sign to visit Wood Ridge Farm, where they malt their own grain and have a lovely view from the upstairs porch. About 20 miles from Lockn’ up Rt 151 you will find, in close proximity, Devils Backbone Basecamp Brewpub, Bold Rock Cidery, Wild Wolf Brewpub, Blue Toad Cidery at High View Farm, and Hilltop Berry Farm and Winery, which makes wonderful fruit meads. A little farther up the road is Blue Mountain Brewpub in Afton, about 24 miles away and a 30 minute drive, as well as Mark Thompson’s newly opened The Brewing Tree. 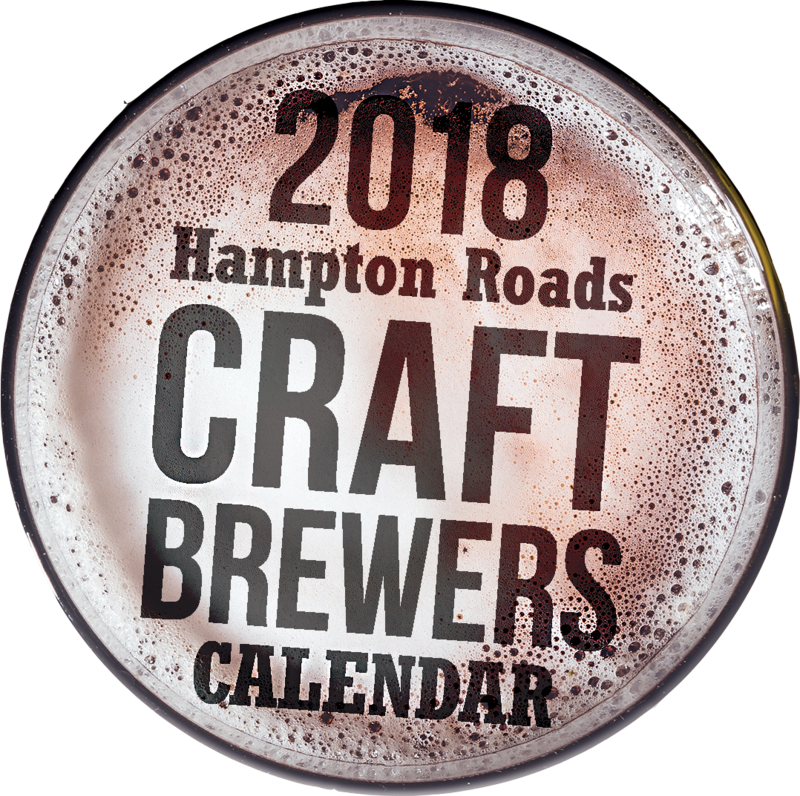 Farther up Rt 29, a 45-minute drive from LockN’ gets you to Crozet, with breweries Starr Hill and Pro Re Nata, and Charlottesville, with many breweries downtown, including Three-Notched, South Street, Champion, Hardywood, Random Row, and Reason. Check out the Lockn’ full-festival ticket packages that include lodging in Charlottesville and a shuttle, so you don’t have to drive anywhere and are walking (or Lyft) distance from the Charlottesville beer scene. The website has a wealth of information about all things LockN’, and we hope to see you there! 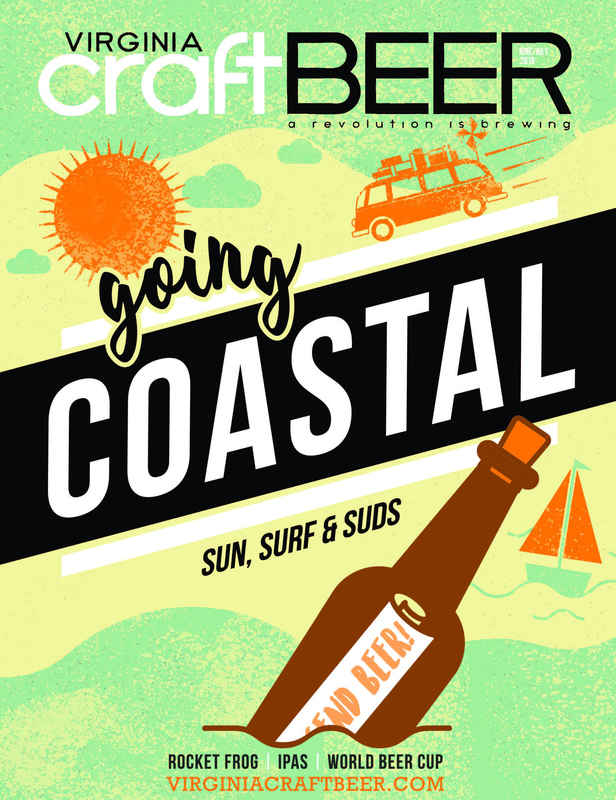 Look for the Virginia Craft Beer tent sponsored by Virginia Craft Beer Magazine!